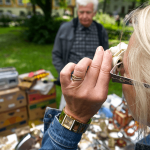 Flea markets can be an excellent way to earn extra money. Whether you want to sell couple of times a month or everyday with a permanent spot, the key to a profitable venture is finding the right products at the right price. Generally, people shop at flea markets looking for bargains or unusual items. That means you need to find items to sell that are at least 75 percent off the usual retail price or even free. Typically, you need to decide if you are going to sell new items or used items. If you sell new items, you can stock a variety of items that change every week or focus on just one type of item such as tools, furniture or baby items. Selling new items will require a financial investment and you will most likely want to establish a permanent location at the flea market. Used items tend to be like a garage sale, and it is easier to sell used items on a part time or occasional basis. This guide will give you several methods to find both new and used stock for your flea market or swap meet space. One of the best places to buy new items at a fraction of the retail price is through your local freight damaged store. Often, they will sell items for 60-90 percent off the retail price. Finding good deals may take some time as much of the merchandise will be damaged. The best things to look for are electronics, household appliances and sporting goods. If you can find undamaged goods or items where it is obvious just the package is damaged, you can sell them for close to retail prices. If you have quite a bit of money to invest, sometimes you can find computers, bikes, televisions and kitchen appliances that will sell well at flea markets. Lower priced items may include sporting goods, electronic games, computer software and small kitchen appliances. Usually when a store has overstock merchandise they sell it to companies that will liquidate the merchandise for them. These liquidators can be a good investment if you are selling full time at the flea market and have several hundred dollars to invest. Rather than selling individual items, liquidation companies sell items by the pallet. All the merchandise is new and undamaged, and the pallets contain a variety of similar items like household goods, men’s clothing or sporting goods. You can find many of these companies online, but some are not true liquidators. One of the easiest ways to tell is to look at the per item cost. If you are buying a pallet of children’s clothing and each piece is just a dollar or two, you probably have a true liquidator. Some companies have a minimum purchase requirement so be sure to read the fine print. Shipping can also add to your cost so search for a supplier that is close to you. One online wholesale company, http://www.hjcloseouts.com, sells in small quantities, offers low shipping and has a good variety of items. One of the most popular liquidators with low minimums is http://liquidation.com, which lists auctions from liquidators and can be a great source of quality merchandise. If you are developing a permanent flea market presence, and you want to carry one type of product, buying into a direct sales company may be the way to go. Companies such as Avon, Pampered Chef and others may allow you to sell at flea markets or swap meets. Usually the costs to enter these businesses are low and you can build your merchandise selection up over time. The advantage is you will have a lot of foot traffic you can turn into permanent customers. The disadvantage is that you will usually make only about 50 percent. There are two good ways you can use your local stores to obtain new items to sell at flea markets. One way is through going out of business sales. Although this is not usually a steady source of products, when you can find true going out of business sales you can pick up great deals on new merchandise. Wait until the markdowns are at least 75 percent off and you will easily be able to resell the merchandise at a nice profit. Another way to use your local stores is to find stores in your area that tend to have store-wide percent off sales and coupons. The way to use this strategy is to wait until the store wide-sale occurs at the same time you have a percent off coupon. Then, buy clearance items. You will be getting name brand merchandise at close-out prices. Sometimes you can get the coupons by joining their Facebook page or mailing list. Auction sites used to be a good place to find surplus merchandise to sell, but in recent years many people are buying directly from the auction site instead of local retailers. However, you can still find the right kind of deal if you know your market well. There are two types of merchandise you can find at auction sites that will make you money at flea markets. The first is new merchandise from small businesses that are going out of business. Very small businesses will usually try to sell their surplus themselves rather than using liquidator. 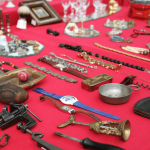 You may also find unusual items that the general public generally will not be looking for at an online auction, for instance, items from handmade craft businesses. The other type of merchandise includes new or used items that you know, from experience, you can sell at your flea market. Look for lots or larger quantities of that specific item that are priced low enough for you to resell. Probably the most well-known auction site is http://ebay.com, but there are several other sites to consider. For instance, http://ioffer.com allows you to buy items without an auction and make offers directly to the seller. For wholesale lots on vintage and handmade items, search http://etsy.com. There are two basic ways to acquire merchandise from garage sales to resell at flea markets. The first is to find garage sales that just want to get rid of items — prices will be very low — and look for better quality or brand name items. Think tools, brand name clothing, sporting goods and even collectibles. The second way is to ask if you can come at the end of the sale and haul away all their unsold goods. Often people would rather just get rid of it and you will pick up a lot of usable merchandise for free. Also look on http://craigslist.com for people giving away all their extra garage sale stuff. You may be able to show up and take it all. Although this requires some financial investment, this is perhaps one of the best ways to stock a general flea market space with new items every week. People store all kinds of things in storage units, and when they don’t pay their bill you can buy the entire unit at auction. Contact the managers of storage centers in your area and ask how they sell their unclaimed contents. Some auction them directly to the public, some use an auction service. With a little research, you will find the best areas to buy the type of merchandise you want to sell at the flea markets. By now, you should have a good idea of potential sources of products for your flea market or swap meet space. By using one or two of these sources, you will keep your space fully stocked with merchandise and be ready to earn some extra cash. This content is licensed under CC BY 4.0. 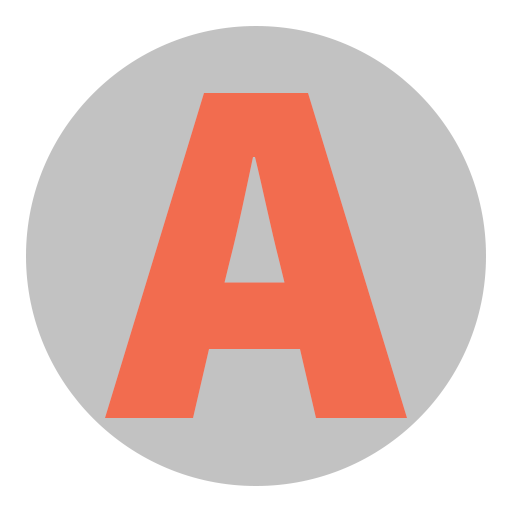 If you use this content please attribute Robert Taylor via http://example.com as a contributor of your adapted content.